Just when you thought the magic was starting to slip from the festive season, along comes a baby to remind you of the wonder a few fairy lights and baubles can bring. 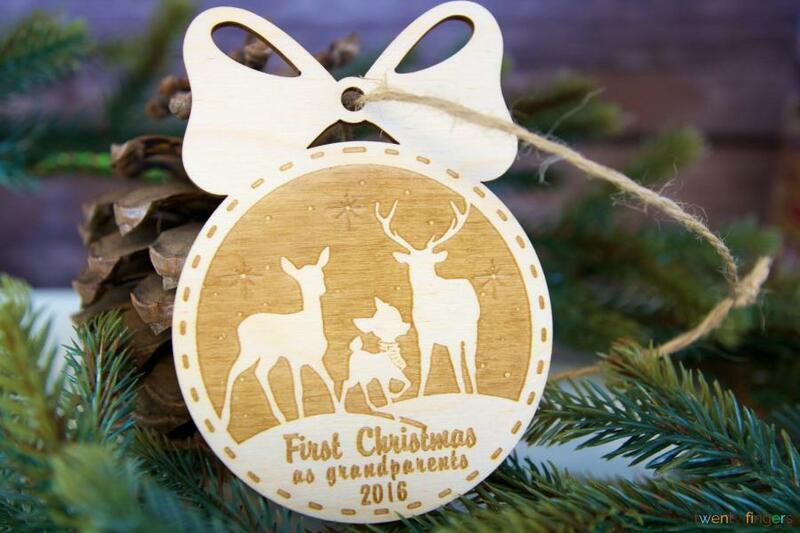 Celebrating that very first Christmas as a grandparent? Let us help! What’s so good about a wooden tree decoration? How to personalise your wooden tree decoration, and what next! Abracadabra we do the rest! Free UK delivery and returns –it’s in the (Santa) sack! There’s no favourites here at Twenty Fingers, so all our customers enjoy free UK delivery on all orders over £39 – that’s our promise to you! You can expect a silent night when you order with confidence from us. Need a refund? Not a problem, so order now! And if this isn’t the decoration you’re after, we’ve got so many more gorgeous personalised Christmas tree decorations!